André Téchiné is a highly regarded and respected French director, who has helmed some of the best films to come out of France in the last thirty years. Many critics consider his 1994 Les Roseaux Sauvages (Wild Reeds) a masterpiece. It won Césars (a French Oscar) for Best Film, Best Director, Best Screenplay (Olivier Massart, Gilles Taurand, and Téchiné) and Most Promising Actress (Élodie Bouchez). Yet, while Téchiné holds a special place in my heart for still giving Catherine Deneuve good roles when other directors overlook her, I can’t bring myself to agree that Les Roseaux Sauvages is as grand as some claim it to be. To me, it’s an average film about young people discovering themselves (primarily sexually) in a pastoral setting. The story takes place in Southwest France just as the Algerian War is coming to an end in 1962. Four students from different backgrounds are studying for their baccalaureate exams while dealing with their own personal problems. Bouchez plays Maïté Alvarez, the daughter of one of the school’s teachers (Michèle Moretti). Both mother and daughter are strident communists and oppose the French occupation of Algeria. Madame Alvarez actually has a nervous breakdown when one of her former students is killed in the war, which leaves Maïté alone to cope with both her exams and her odd relationship with François (Gaël Morel). Why is the relationship odd, you ask? Well, for starters François is gay and lusts after both Serge (Stéphane Rideau) and Henri (Frédéric Gorny), two young men at his boarding school. For some reason, Maïté is perfectly fine with the situation and seems to welcome the idea of being with someone who’s not interested in her sexually. She actually says to him, “I don't care what you do with others. What's between us counts much more.” I watch a lot of French movies, so this doesn’t seem as bizarre to me as it might to someone unfamiliar with what film scholars refer to as ‘French queer cinema’. Still, even I was a bit perplexed when Maïté first made an emotional connection and then later a sexual connection with Henri—an Algerian-born French exile who stands for everything she is against and whom she only met because he thought about burning down a building she was in. And then, taking Gallic romanticism to its brink, she pushes away the man she obviously desires (and could possibly love) to remain the companion of her gay boyfriend. Perhaps you’ve seen the end of this and asked yourself the same question as me: did she really end up in a sexless marriage with François? Oh, how depressing a thought! The other sexually complicated relationship is between Serge and François. There is absolutely no question that François is gay—even if he does go on dates with Maïté to see films like Bergman’s Through a Glass Darkly and Demy’s Lola—but it’s not so clear whether Serge is gay or bi-curious. It is Serge who first initiates François into the sexual world, but it’s a one-time thing. For the rest of the film Serge talks about sleeping with girls and his brother’s widow, while François pines after him. At one point, François considers becoming involved with Henri and says to Maïté, “I admit it. I want to sleep with Serge. I want to sleep with Henri. What if another one comes along next week? It's awful. What will become of me?” I don’t think Téchiné ever makes it clear who or what Serge is—he’s a sexually ambivalent being. Does Serge tell François to forget about their encounter because he’s not interested or is it because he isn’t willing to share with 1960s French society who he is? For (then) relative screen newcomers, all four actors give steady performances. Not surprisingly, Bouchez’s career has turned out to be the more highly regarded of the group. Her portrayal of Maïté is melancholic and simple. The underlying self-resignation that her character is forced to carry clearly shows on her face. Of the three men, I most enjoyed Gorny’s Henri. In someone else’s hands Henri’s brooding and recalcitrance personality could have descended into a caricature of the angry young man myth. Gorny provides an even and steady depiction of a character who you find yourself both disliking and rooting for. In reality, Henri is the only character who shows his true self, and I suppose that’s why I liked him so much. Overall, Wild Reeds is an interesting coming-of-age story that focuses on its characters’ sexual awakenings. It makes you reflect on how difficult the transition from adolescence to adulthood truly is. Yet, to me, it is far from a masterpiece. Foreign films have never been a strong suit for me, Kim, and I have not seen this one. Your write-up, however, is very good. I guess I should branch out more into the foreign genre. This one wasn't your favorite -- what would you suggest as a good French film for someone like to see? This film isn't bad, Becky--just not as great as everyone makes it out to be. You should watch more foreign films! 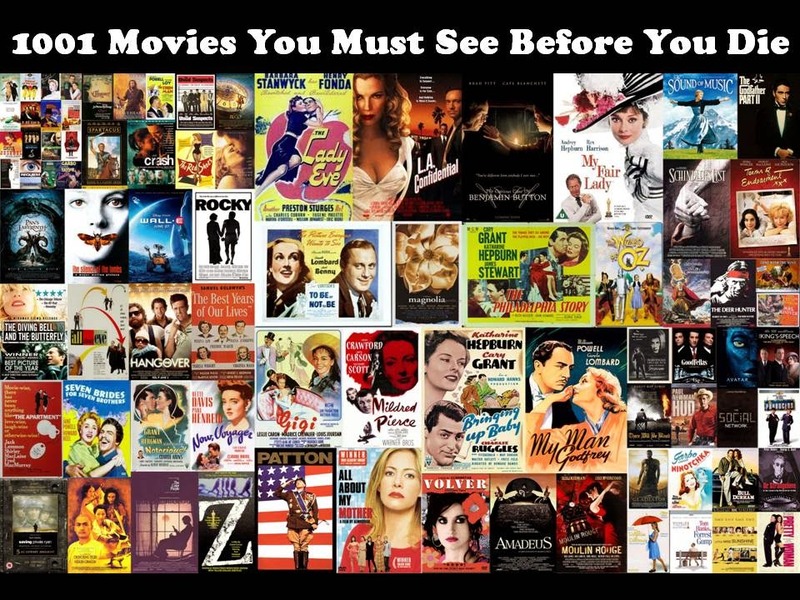 Suggestions: The Earrings of Madame de..., The Umbrellas of Cherbourg, Volver, The Barbarian Invasions, The Secret in Their Eyes, The Diving Bell and the Butterfly, Smiles of a Summer Night, etc. There are many good silent films out there! I agree with you on this. I just saw it and it didn't impress me that much. While I am familiar with Algeria's fight for independence, it didn't interest me enough to keep all the debates the characters have about it interesting. I imagined it might be like someone in England watching a film about American teenagers in the 1960s who obsess over the Vietnam War. To ClassicBecky - there are many, many French films that I would recommend. Not having any idea what genres you may like I will mention a selection of movies - Amelie for pure joy, Children of Paradise for its place in cinema history, La Femme Nikita for action with some depth, Wages of Fear for pure tension, Jean de Florette and Manon of the Spring for drama, La Haine for independent filmmaking, The Passion of Joan of arc for silent films, The Closet for comedy, and Diabolique for a thriller. Well, I specialize in French history, so the Algerian bit wasn't an issue for me, but I definitely see your point. Good choices for Becky, too. @KimWilson - Thanks. I just read through your extended bio on the separate blog. 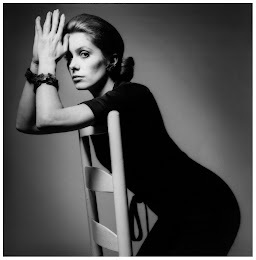 I almost suggested Belle de Jour as one of the movies for ClassicBecky. You also mention Pride and Prejudice. You may be interested in this post: http://tipsfromchip.blogspot.com/2012/02/many-versions-of-pride-and-prejudice.html I reviewed different versions of the story that I would recommend to others. There are links to them in this parent post. You and I have similar opinions on the 2005 adaptation. I read your original post and the one on the 2005 version. Very good. Thanks to both of you -- I've got plenty to choose from! Oh those French, they can make the mediocre seem fabulous, can't they. I've never seen this one, Kim, but I totally agree with your recommendations. Volver - ah - must go watch it again. In my dreams I am Penelope Cruz! Sorry I am late in replying (family issues), FC. I love Volver--who wouldn't want to be Penelope Cruz, especially now that she's married to Javier Bardem.